Chartwell Literary Group coaches leaders through the writing of their own books and writes proposals for literary projects. We manage the book-writing process for works of fiction and non-fiction, handling everything from organization of book material and interview scheduling to copyright approval and management of a writing schedule. We also convert audio tapes, notes, and other documents into finely crafted books. Chartwell Literary Group is committed to providing the absolute best support for our authors. We create manuscripts for leaders and publishers, as well as providing co-authors for authors who want to extend the breadth of their work. We produce recorded versions of books for publishers or authors. We create colorful, animated presentations for speakers, educators and professionals who want to convey their message powerfully and effectively. We provide extensive research and editing services for a wide variety of literary projects. We create books for publishers who have a concept but no author, and team them with leaders to bring their literary projects to completion. We coach authors on interview skills, public speaking, presentation and media etiquette to enhance the book-marketing process. 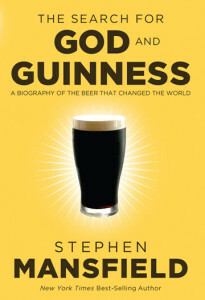 The Search for God and Guinness stirs together several strains of the Guinness legacy – beer, family, philanthropy, and faith. Chartwell conducted research, oversaw travel details for the author Stephen Mansfield and his team, provided both historical images and on-location photographs, and edited the manuscript. Congressman Michael Burgess, M.D. 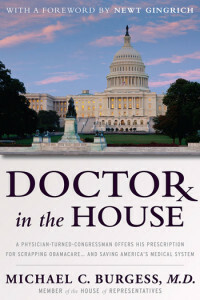 explains the current health care bill and offers a prescription to remedy what ails our country in Doctor in the House. Chartwell was pleased to be chosen to coach the author and manage the writing process for this important project. Chartwell oversaw the final edits on the book by Ed Bresslin and Agostino von Hassell about William Tecumseh Sherman, the controversial Civil War General. 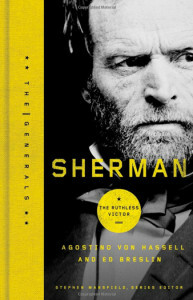 Part of the Thomas Nelson “Generals” series, Sherman: The Ruthless Victor explores the frustrated and tumultuous life of the man behind the burning of Atlanta and the infamous The March to the Sea. This gift book was a Chartwell conception. 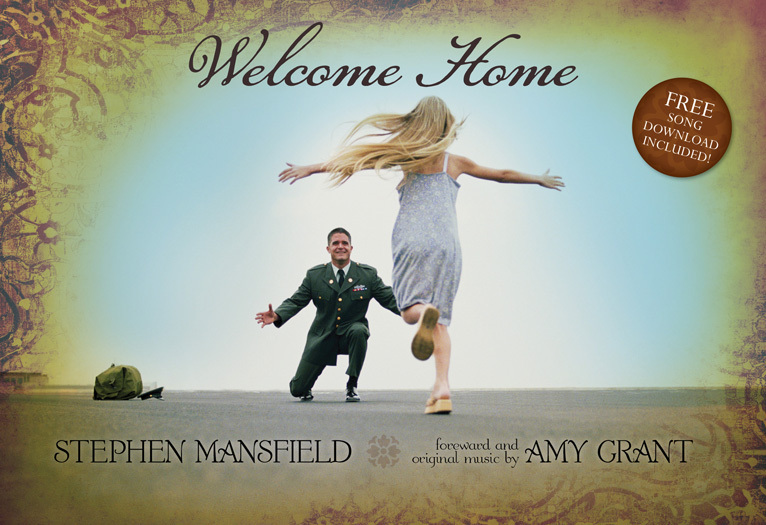 Welcome Home was presented to the publisher as a unique product aimed at the families and friends of our military personnel returning home from war. The book contains moving, true American stories, and a gift card with the code for an original song by Amy Grant. 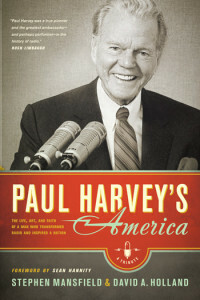 Chartwell managed every aspect of the creation of this compelling book, Paul Harvey’s America. New York Times best-selling biographer Stephen Mansfield and coauthor David A. Holland present a fresh look at America’s most popular radio host, his immeasurable contributions to broadcast history, and how he transformed American culture. 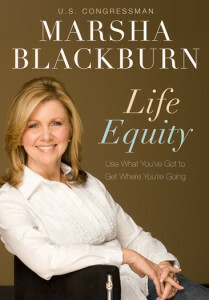 Life Equity is Congressman Marsha Blackburn’s new book about a decidedly nonpolitical idea. In it, she helps women of all ages discover a hidden or forgotten truth: The life they’ve led has prepared them for the life they dream of. If women who want to make a difference in their own lives and in their world will value the rich experience they have accumulated, they can use those skills to move their lives forward. Chartwell helped solidify the concept, researched the profiles of women across the country, and managed the creation of the manuscript. Chartwell does fiction, too! 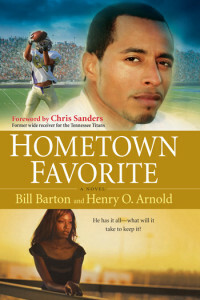 We teamed authors Bill Barton and Henry O. Arnold for the creation of a new novel, Hometown Favorite, to be released by Baker Publishing in September 2008. This modern retelling of the story of Job will capture readers with the age-old question of why bad things happen to good people–and how good people can survive. 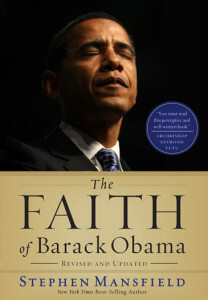 In The Faith of Barack Obama, Stephen Mansfield explores Obama’s religious faith and his basic premise is this: If a man’s faith is sincere, then it is the most important thing about him. As a result, it is impossible to understand how Barack Obama will lead without first understanding the religious vision that informs his life. Chartwell Literary Group assisted the author with research and editing in this bestseller, and produced the recording of the audiobook version. Amy Grant is the legendary star of gospel music who made a profound mark on the pop scene as well. Now, after decades of record-breaking album sales and accolades, she tells some of the stories behind the music in her new book, Mosaic. 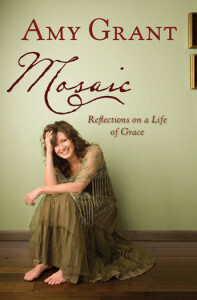 Chartwell Literary Group coached Amy Grant through the writing of this book, consulted on design and provided research support. Chartwell also produced a unique and memorable audiobook version of Ms. Grant’s book, prompted by the author’s career in music. Lyrics, melodies and poems are woven through the author’s very personal reading of the book. 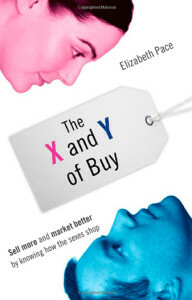 Chartwell created the audiobook version of Elizabeth Pace’s new book, The X and Y of Buy. Science has confirmed that men and women use different parts of their brains and thus behave differently in a host of situations, including the way we shop, buy and consume products and services. Ms. Pace, who served for thirteen years as vice president of sales and marketing for three successful startups and has consulted with companies in a dozen different industries, shows us how to use this knowledge to more effectively market and negotiate.. Readers remember George Foreman as the Former Heavyweight Boxing Champion and the spokesman for the popular George Foreman Grill, but he is also a successful entrepreneur. 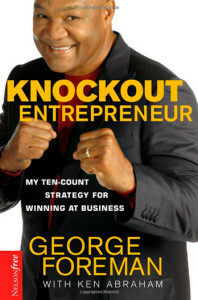 In The Knockout Entrepreneur, Foreman shares his success secrets with aspiring and current entrepreneurs. Chartwell produced the audiobook version of this new book. 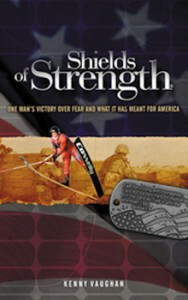 Shields of Strength reveals the inspiring story behind a business begun in honor of America’s soldiers. Chartwell edited this short but powerful offering about author Kenny Vaughan’s victory over fear and the unusual business venture that resulted. The popularity of Mr. Vaughan’s story led to speaking engagements, for which Chartwell created a unique video used to introduce the author. During any given month, Chartwell Literary Group employs 10-15 writers, editors and researchers. These fine professionals are managed by our company leaders. Beverly Darnall Mansfield brings a wealth of professional experience to her literary work. She is a songwriter whose creations have been recorded by artists such as Eric Clapton, Amy Grant, Michael W. Smith and Vince Gill. She has also produced national concert tours, run a music publishing firm, been a studio singer and contractor and created numerous musical and DVD products. 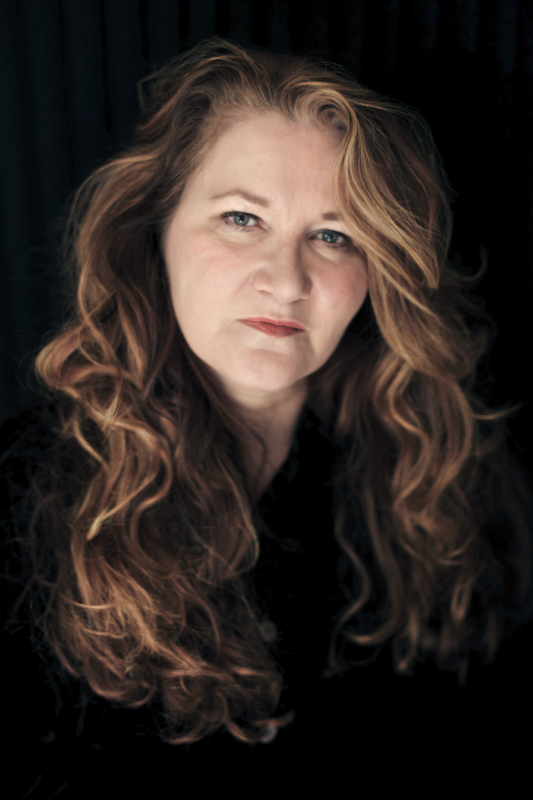 Beverly is the Executive Director of Chartwell Literary Group, uses her talents as a writer for the Chartwell team (her book, Laura’s List, was published by Penguin) while continuing her work as a songwriter, music publisher and producer. 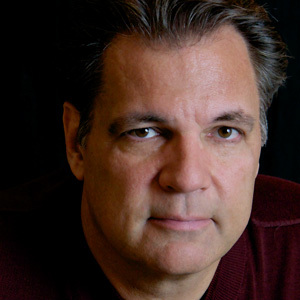 Stephen Mansfield is a New York Times bestselling author and an acclaimed public speaker. 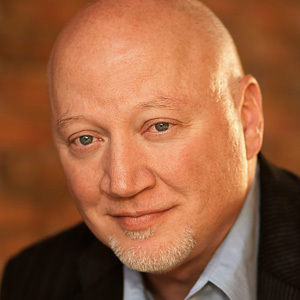 He is also founder of The Mansfield Group, a successful consulting and communications firm. His books have included such bestsellers as The Faith of George W. Bush, The Faith of the American Soldier, The Faith of Barack Obama, The Search for God and Guinness, and Mansfield’s Book of Manly Men. For more, visit www.stephenmansfield.tv . David Holland has ghost-written or edited scores of books – several of which have appeared on the New York Times non-fiction bestseller list. He also co-authored Paul Harvey’s America, (Tyndale House, 2009) and The Faith and Values of Sarah Palin (Frontline, 2010). He is the principal creative mind behind hundreds of magazine articles, radio programs, direct mail packages, television specials and video segments successfully crafted for clients from the realms of faith, public policy and business. Learn more at DavidAHolland.com. We at Chartwell have found the following resources tremendously helpful in our literary endeavors. We recommend them to anyone who wants to know more about writing and publishing. Have other suggestions you think we should include? Let us know. The Southern Festival of Books: A Celebration of the Written Word. A free, three-day literary festival held on the second full weekend of October every year. The Festival of Faith & Writing at Calvin College. A three-day biennial conference held in April. The Shaw Guide to Writers Conferences & Workshops. This website lists a multitude of writers conferences and workshops around the country. These great organizations provide opportunities to make a difference in the world through books and reading. The ALD is a service of the National Institute for Literacy and its partners: the U.S. Department of Labor, the U.S. Department of Education, and Verizon. The ALD connects employers, learners, volunteers, social service providers and others to current information about literacy programs in all 50 states and the U.S. territories. Book Ends is a non-profit organization in Southern California that recycles children’s books through student-run book drives and places them in schools and youth organizations in need of books. This organization sends books in care packages to our courageous soldiers overseas. The Laura Bush Foundation for America’s Libraries makes grants to school libraries across the country to purchase books. An Important Note: These recommendations do not constitute explicit endorsement by Chartwell Literary Group of all content contained therein. Chartwell Literary Group cannot control, screen, or edit third-party resources and disclaims any responsibility for content that may be incorrect or disagreeable to the reader. Q. What kind of clients do you normally work with? Our clients have included politicians, business executives, pastors, television personalities and professional authors. Obviously, it depends on what the project is. We have edited small projects–like a foreword or an introduction–for as little as $200.00, but generally we are working on complete manuscripts, which range from $10,000.00 on up, or proposals, which range from $1000.00 to $4000.00 if there are sample chapters involved. Q. How long does it usually take to finish a book? A book normally takes from four months to a year to complete. Q. I am a speaker who has a series of tapes I would like to turn into book form to sell on my website. Do you offer this service? Yes, we do. We have writers who can find the focus of your message and format it for a book or booklet. Q. Do you do work for publishers? Yes, we do. Publishers regularly contact us to find the best writer for a book idea, or to ask us to put together a team to create a manuscript. Q. Does Chartwell Literary Group serve as a literary agent for authors? No. We are not agents nor are we publishers. We feel we serve our clients best by sticking to what we know well: writing books. Please email us at info@chartwellliterary.com. Describe your project, include your contact information and we will get back to you. Q. Does Chartwell specialize in certain subjects or does it create literature in any field? Part of the excitement of running a literary management firm is the wide variety of work involved. We are available for almost any kind of project. We have helped create works of fiction, biography, autobiography, theology, current affairs and political commentary. Q. Is Chartwell interested in adding new authors to its team? needs to possess a unique blend of talents to do the kind of projects we do. Q. Why is hiring Chartwell a better choice than hiring an individual writer or researcher? Great question. Chartwell was created by Stephen Mansfield during his travels and media appearances around the world, where he was often approached by speakers and highly visible personalities with questions about authoring a book. Stephen discovered that these leaders and celebrities didn’t need just a ghostwriter or just a researcher or just a co-writer. They needed help with the entire process. Chartwell’s team approach is the answer to this. Every project receives attention from a team of experienced professionals—from writers to editors, from experts in a given field to project managers—who assure that the final product meets the highest standards of literary excellence. Q. Does Chartwell manage projects other than books? Yes. We are expanding our operation to include production of short video projects, podcasting services and photography.